Start the video by clicking the ‘Play‘ button ( ) located in the bottom left hand corner of the video, it can be paused at any time by clicking on the ‘Pause‘ button ( ) also located in the bottom left hand corner – it will appear when the video is running. 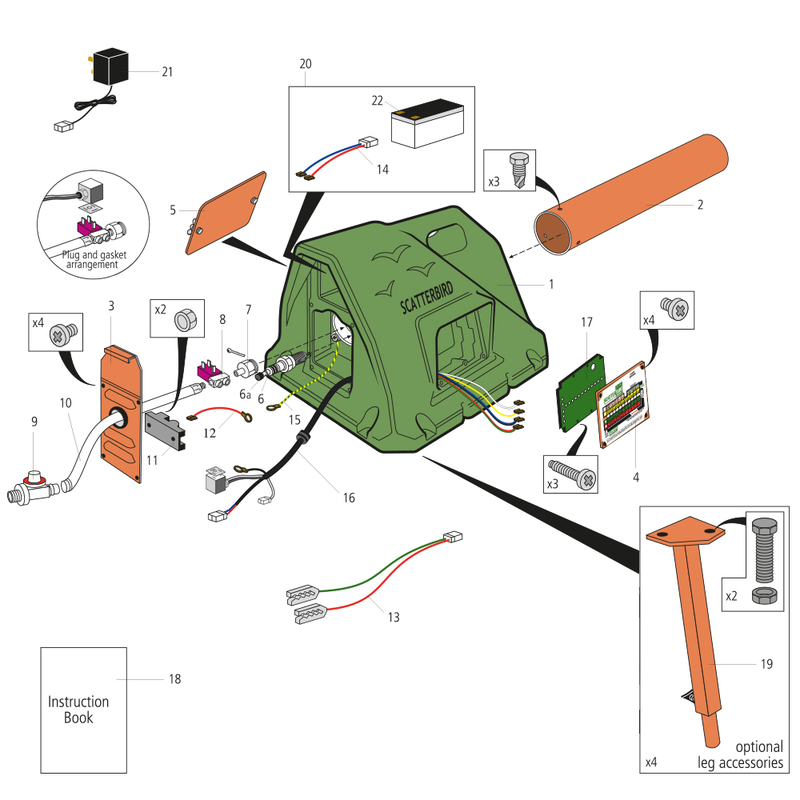 *Service exchange circuit boards are only supplied against the return of repairable faulty units. Replacement of unrepairable faulty units is charged at new circuit board price. 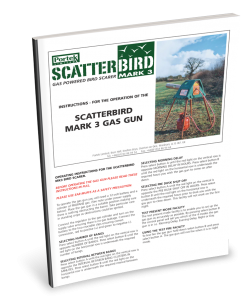 **Use the Scatterbird MK3 leg accessory to raise the unit which allows the sound to travel further and to help prevent water and pest damage. 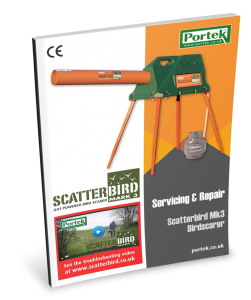 Portek have a full range of support literature downloads and instructional videos that cover their complete product range and are always being updated. Simply click on an image thumbnail (right) to download the latest version of the PDF directly to your desktop.